This apartment was refurbished and comfortably furnished as an annexe to our property a stone's throw from Christchurch harbour and a two minute walk to Mudeford Quay. The accommodation comprises two bedrooms, one being a double and the second a double bed with single bed over. There is also a living/kitchen /dining area, shower room with toilet and an additional toilet. A third double bedroom is also available if required. Mudeford is a small seaside village on the outskirts of Christchurch. This apartment is a short walk to both Mudeford Quay with a ferry service to Mudeford Spit and Hengistbury Head and Avon Beach with its safe bathing and child friendly cafe/restaurant. The lovely market town of Christchurch is a short drive away with a High Street that boasts all the usual amenities in addition to several sites of historical interest and a very attractive Quay with a ferry service downstream to Mudeford. Bournemouth with its 7 miles of sandy beaches is also quite close as is the New Forest and its miles of beautiful walks and cycling paths. There is onsite parking for two vehicles and if you want to enjoy the local amenities this is a huge financial saving with parking fees on Mudeford Quay at a premium. Fully equipped kitchen with oven & grill, induction hob, microwave oven, fridge and dishwasher. Fantastic accommodation, spacious , very comfortable, meticulously clean, & fantastic shower ! It was a delight to meet Lynne & Peter with their holiday let set in this amazing location, right on the edge of Mudeford Quay. We found two local pubs within easy walking distance which are both dog friendly. My wife & I had a great mini break, thank you. Just a few minutes walk from Mudeford quay this apartment was perfect for a relaxing few days whilst meeting up with our extended family in Christchurch and the Nee Forest over the Christmas period. Apartment was stunning! Well equipped and very comfortable! As a bonus very dog friendly too. So pleased you enjoyed your stay. A very Happy New Year to you all. Stayed over October half term with family. Comfortable apartment with up to 3 bedrooms. Lounge/Kitchen area comfortable and functional. Good size shower in bathroom plus 2 toilets. Lynne and Peter very welcoming and give you your space. Great location for the beach and bars and restaurants in close proximity on foot. Favourites were The Noisy Lobster and The Jetty. Great fun crabbing at Mudeford Quay too. Christchurch walkable or a short drive. Thanks Lynne and Peter for an enjoyable break. This was our first stay at this well appointed and equipped apartment. Although the weather was not kind we were very comfortable and have thoroughly enjoyed our stay. Lynne and Peter are really lovely and made us very welcome. We can't wait to come back again ! 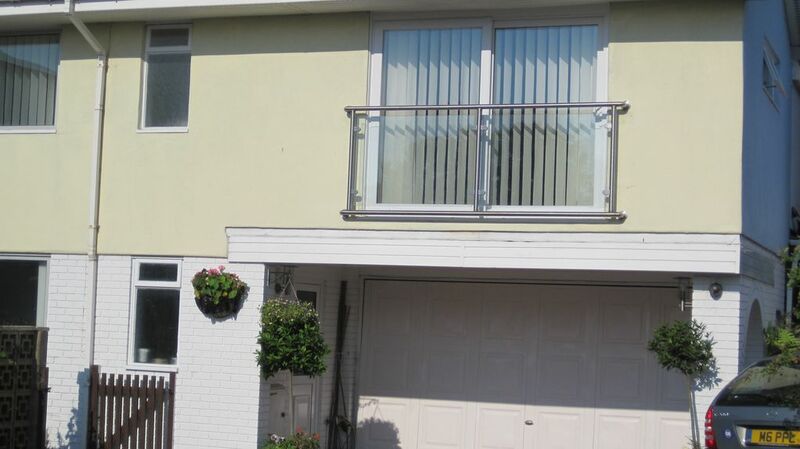 Great location, perfect for the harbour and seafront. Lovely clean and spacious accommodation. Well equipped. Lovely helpful owners. Thank you Lucy. So pleased you had a good time. And thank you again for being such perfect guests. Everything you needed was there and right near the sea. Thank you Don. Trust your friends from Australia enjoyed a little bit of Dorset. Mudeford is a small fishing village about 2 miles from Christchurch, 8 miles from Bournemouth and a short drive to the New Forest. There is a safe beach about a 5 minute walk where amenities include a cafe, book and souvenir shop, ice cream stall. The beach is patrolled by life guards throughout the summer holidays. Mudeford Quay is a 3 minute walk. Those of you who familiar with the area will know that crabbing is the most popular activity down on the Quay where you can also get the ferry to Mudeford Spit and Hengistbury Head. For keen walkers, Bournemouth is about a 6 mile stroll along the beach from the ferry. The nearest supermarket (sainsburys) is a five minute drive whilst there is a Waitrose in Christchurch town centre. Christchurch is a good 30 minute walk via Stanpit Marsh or a 5 minute car ride. All the major banks have branches on the high street. There's a good choice of restaurants/coffee shops. Market day is Monday so beware the traffic and parking! Bournemouth is about 15 minutes in the car and can be reached by bus which stops on the main road outside the property. Apart from a very good shopping centre, there are also two cinemas and the Pavillion theatre. The New Forest can be reached via the A35 and we would particularly recommend Burley, Lyndhurst and Brockenhurst for things to do and see.